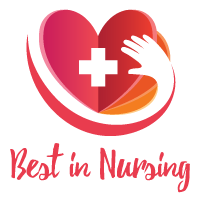 Currently a Trauma/Surgical ICU Critical Care Nurse Practitioner at UW/Harborview Medical Center, Dr. Judith K. Glann, DNP, MSN, ACNP-BC, CCRN, is being appointed by the American Health Council as one of “America’s Best Nurses” for her 30 years within critical care nursing. Dr. Glann is being recognized by the AHC for her honed expertise in Nursing, Cardiology, Adult Critical Care, Internal Medicine, General Surgery, and Trauma/Surgical Critical Care. 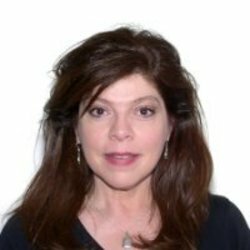 Dr. Glann has most recently obtained her DNP from Duke University. She also holds her ACNP from the University of New Mexico (2002), her MSN from the University of California San Francisco (1995), as well as a BSN from the University of Northern Colorado (1987). After attending a field trip to a nursing home at the age of 12, where she helped an elderly gentleman who had dropped gifts being distributed for the holidays, Dr. Glann knew that the field of Nursing was her calling. She wanted to be of service to help the sick and disabled. Dr. Glann attributes her past and present success within her field to tenacity and perseverance. At UW/Harborview Medical Center, Dr. Glann is involved in day to day responsibilities and care of trauma/surgical patients in the TICU at UW/Harborview Medical Center, including autonomous and collaborative direct patient care while working with a multidisciplinary team comprised of physicians, pharmacists, nurses and ancillary staffing to help streamline the continuum of care that every patient receives, from the point of hospitalization to discharge. Dr. Glann possesses a myriad of achievements garnered throughout her career, including being a contributor/developer of Renal Module for Online Critical Care Course through the Indiana University School of Nursing, Clarian Health Partners, and the American Association of Critical Care Nurses (2002-2004), where she was a Primary Author of an on-line course that was to be made available to both a nationally and internationally-used audience of Critical Care Nurses. In fact, Dr. Glann has published in Elseveier/Mosby Critical Care Nursing texts from 1998-2003, and continues to actively publish with a current submission of work with the Journal of Emergency Nursing, which is under review. Additionally, Dr. Glann has been a Reviewer of Elseveier/Harcourt/Mosby Press Publications on various topics concerning Critical Care. A Delegate with the Arizona Nurses Association, she was also part of a US RN delegation to visit the People’s Republic of China for a professional exchange, selected through Sigma Theta Tau. In her spare time, Dr. Glann enjoys traveling, hiking, camping, singing, dancing, reading, knitting, sketching, photography, as well as walking dogs with The Rover Agency. She is fluent in Spanish, and is charitably affiliated with the Animal Humane Society, as well as local charities who support elderly and children’s’ needs. Established in 1877, Harborview Medical Center serves as a comprehensive healthcare facility committed to controlling illnesses, restoring the patient to optimal health and providing excellent patient care. As the only Level 1 Adult and Pediatric Trauma Center in Washington, Harborview Medical Center delivers the highest quality of healthcare specializing in comprehensive emergency services such as disasters, substance abuse, sexually transmitted diseases, trauma care, sexual assault and much more. The areas of specialization at Harborview Medical Center include the following: neuroscience institute, emergency medicine, orthopedic care, surgical and nonsurgical treatment for simple and complex vascular conditions and comprehensive range of psychiatric and psychological services. In addition, Harborview Medical Center is a teaching hospital offering education opportunities to undergraduate, graduate, post-graduate and continuing education students.